Update: The contest is over. You read correctly. 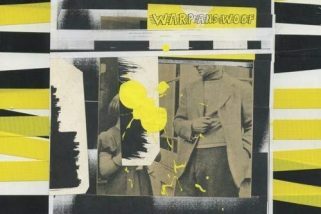 Courtesy of Da Capo Press, TFN is giving away two copies of Closer You Are: The Story of Robert Pollard and Guided by Voices by Matthew Cutter. The book is the upcoming authorized biography of Robert Pollard, indie rock icon and founder of Guided By Voices. It hits stores August 21st. Entry is simple: Just email us at thefirenote@gmail.com and put READ GBV in your subject line. Winners must be located in the US or Canada. We will pull two random names out of the bunch of emails next week and notify winners. If you don’t win – don’t worry. You can find a place to pick up a copy of the book HERE. You can also check out an excerpt of the book below. About the author: Author Matthew Cutter is a longtime friend of Pollard and, with Pollard’s blessing, he’s set out to tell the whole, true story of Guided By Voices. 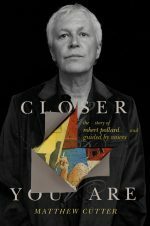 Closer You Are is the first book to take an in-depth look at the man behind it all, with interviews conducted by the author with Pollard’s friends, family, and bandmates, along with unfettered access to Pollard himself and his extensive archives. Matthew has published in MAGNET magazine and penned several award-winning game supplements for Deadlands: The Weird West. He is writing a licensed game adaptation of Eric Powell’s Eisner Award-winning The Goon and his short story “A Lonesome Place to Die” is slated to appear in The Cackler graphic novel. Cutter is also lead singer and lyricist for the bands Joseph Airport, Rectangle Creep, and Girls of the Big 10. He lives in Rockville, Maryland, with his wife and their three children.